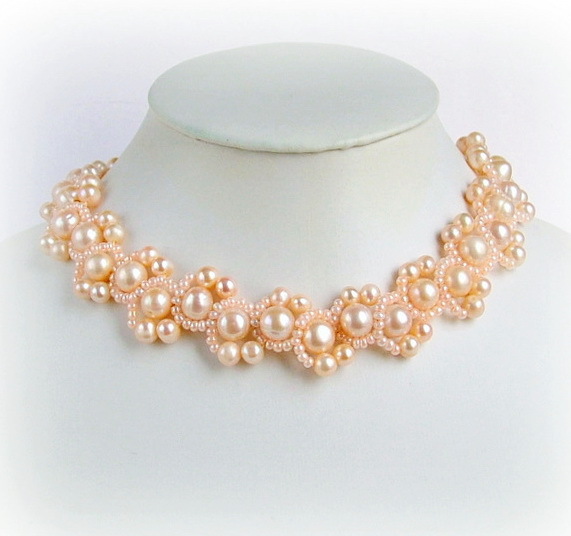 It appears that there are seed beads in 2 sizes in this design – the larger seed bead centered between the pearls. 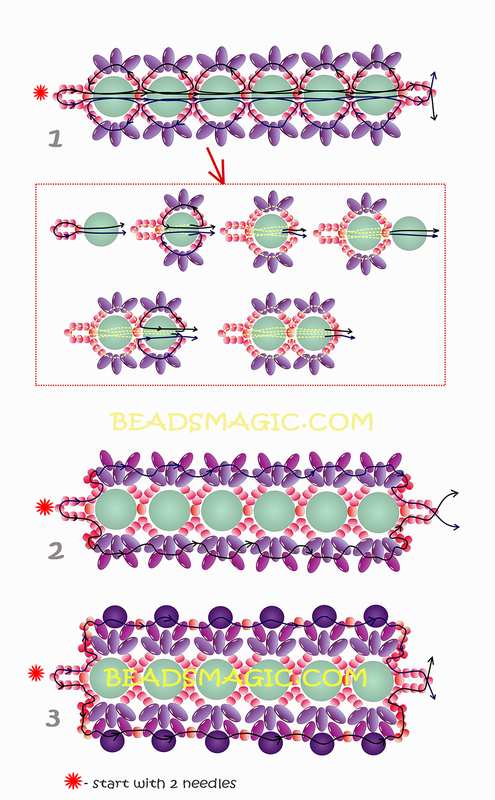 Are the larger seed beads size 11 or size 8? 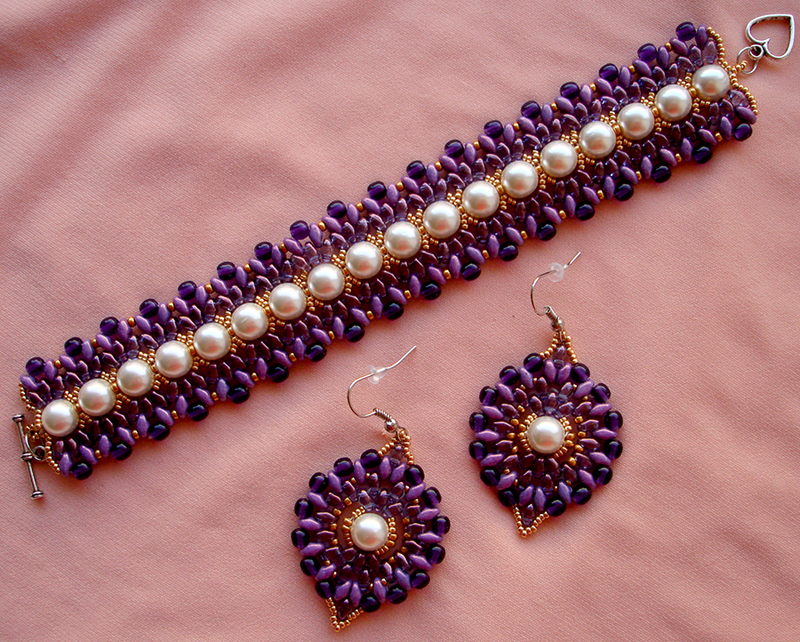 I would like a pattern for The earrings? Would love a pattern for those earrings. how do I get the earring pattern sunny day? I think you were right the first time Cynthia. 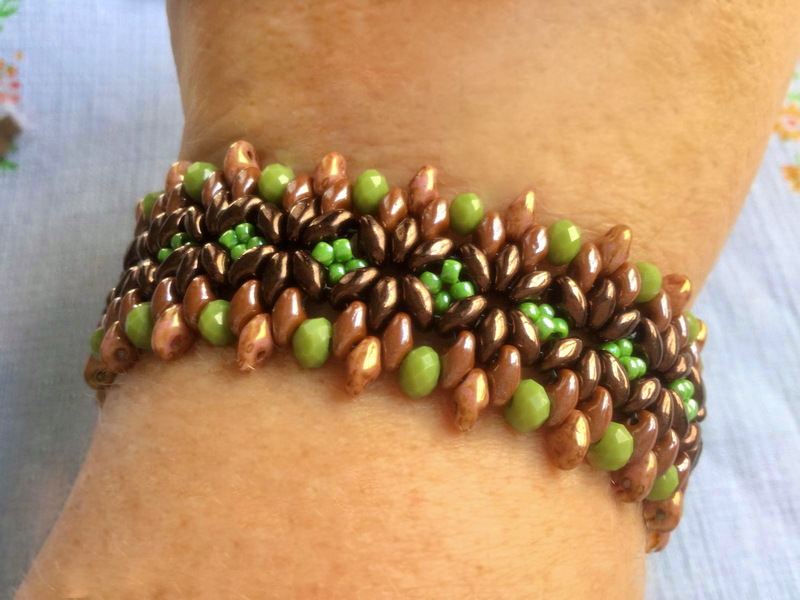 It looks like the seed beads being used are 11/0s and 15/0s. The beads look really small compared to the superduos which is what I am basing this off of. 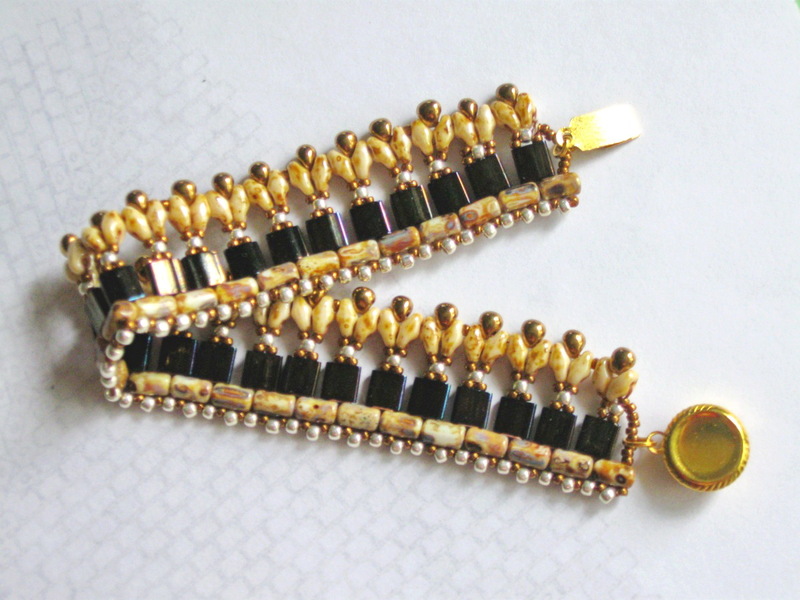 I’m going to try making it and see if that fits with the pattern.